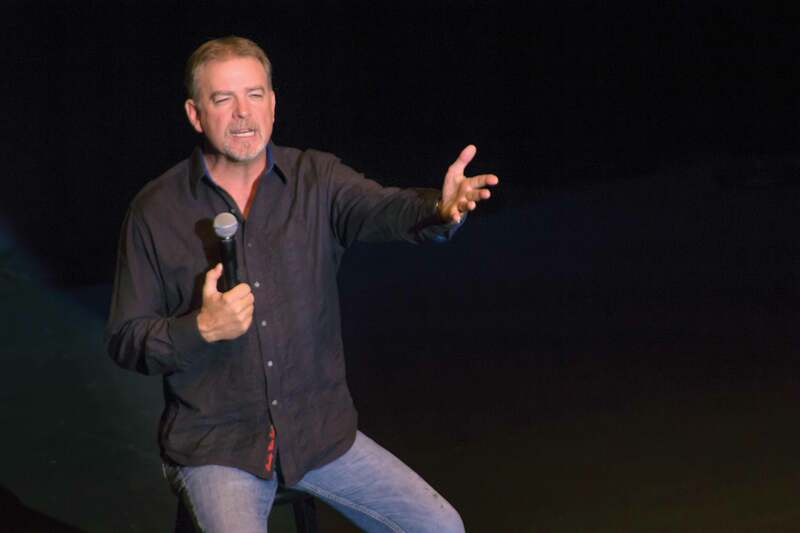 Bill Engvall, a comedian and finalist on the most recent season of “Dancing with the Stars,” performed Jan. 30 at the Fox Performing Arts Center in downtown Riverside. Engvall tells jokes centered on life as an aging man who is relearning how to live alone with his wife after his children have grown. The comedian said he had been home for only a few hours after having surgery on his knee when the phone rang. He said “yes” to the show’s producers, not fully knowing to what he was agreeing to be a part. As his set progressed, Engvall began sharing his struggles of being a father to his college-aged son. He joked that the first “adult” decision his son made in college was deciding to buy a skink, a reptile in the lizard family. It was not too long before the responsibility of the lizard was given to Engvall and his wife. Unfortunately, the lizard died two weeks later. But the best part of the show was when Engvall shared that even during the worst times in his life, God usually always give him plenty of things to smile and laugh about. Engvall shared that his father is suffering from Parkinson’s disease and has a hard time remembering things. Engvall reminded everyone in the audience to find things in life to laugh about, even when some situations are painful to experience.